The rigid attitude of Apple store is considered to be a bit annoying for some of the developers, but it is largely done in order to gain the excellence and maintain the quality standards of every iPhone mobile app, which publishes on apple store. Indeed it is a very filtered and unique way to handle the quality measures and it helps every available iPhone mobile app to be a perfect fit from the usability spectrum. But how to increase the app ranking??? Promotion of your app is nothing new to be discussed here, but the success of your iPhone app wildly depends on the way it is marketed and promoted in the Apple store. Many marketers might find my point as a moot aspect, but eventually, the success parameter is enough to make them believe that app’s success has a large share drawn from the successful app marketing tactics. You need to sell your app with the marketing ideas, in something different and unique way, something which has the power to grab the attention of the users and help them to turn their head and compel them to download the app. You can start with the Promotional campaigns, which definitely lets your app to gain public attention…start such campaigns on some specific days like weekends, when users are free and have more time to explore the new apps on Apple store. 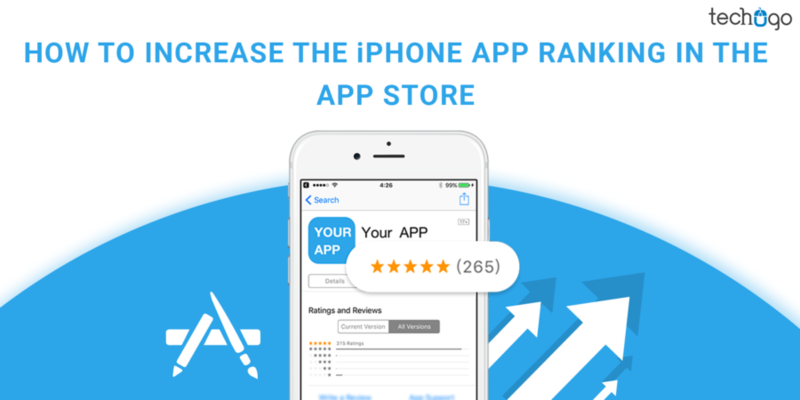 Also, you can offer the promotional discounts to help your app ranking to get boosted. A promotional website, I think the name itself suggests the nature of the website, but let me explain more clearly…a promotional website is something which helps your potential and targeted users to peep into your app’s nature and its functionalities. You must add clear screens of your app, the appropriate app videos of succinct duration to grab the attention of the users. There are certain technical trade shows, which keep happening around the year if you can grab the app launch during any of these trade shows, believe me, it really works wonder for you, because these trade shows ultimately bring the required media attention effortlessly and consequently to much better recognition from the targeted audience base. This step is indeed one of the significant parts of your app marketing and helping it to rank better. So you need to ensure that your iTunes web preview is nothing less than perfect and to achieve this, you need to integrate right and impressive app description, keywords, meta description, along with the right meta keywords to be a part of your successful web preview. Yes this aspect is sometimes overlooked by the marketers, considering a least section of the users to be interested in reading, but here this thought is absolutely wrong, because blog is a part of content marketing, which is essential for the app promotion and the app ranking consequently, so you need to invest your time and passion in writing some of the most sizzling benefits your app can offer to the users through blog or any other content marketing form. Apart from these mentioned strategies, the development of your iPhone app with a top iPhone app development company in India, also bears the much significance, and help your mobile app to gain the satisfactory attention and the deserving recognition.